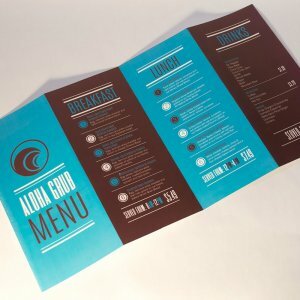 We have worked closely with restaurants & cafes across the Channel Islands to design & print menus, flyers & place mats. We offer over 40 styles of menu layouts from simple single page to complex folded menus. 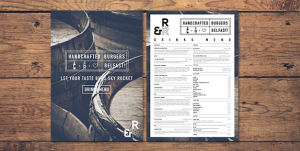 Our design department can create & design your menus to our specifications producing professional print ready artwork. Our various paper and card stock enables you to choose exactly the feel that most suits your business. Kraft card, Pulp & recycled card gives a more natural, textured feel whereas laminated, silk & gloss card gives a more luxurious feeling. You don’t need to stick to traditional sizes either. We can print, cut & fold to any size you like.